It's the good ole Texas Summertime! Actually the only thing that is good about it is that it doesn't last forever. But, in order to keep the trailer maintained, we need to take it out and live in it for a few days to see what's broke. 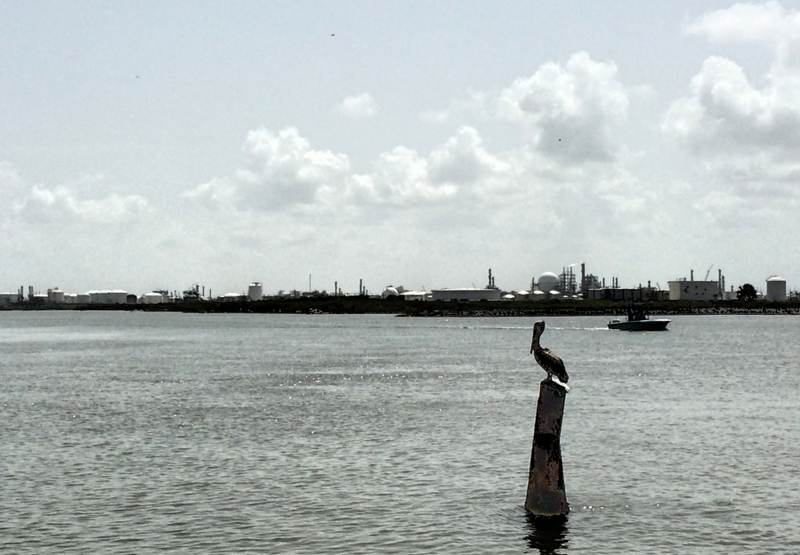 This time we are going to Quintana, TX, which is just across the Intercoastal Canal from Freeport. 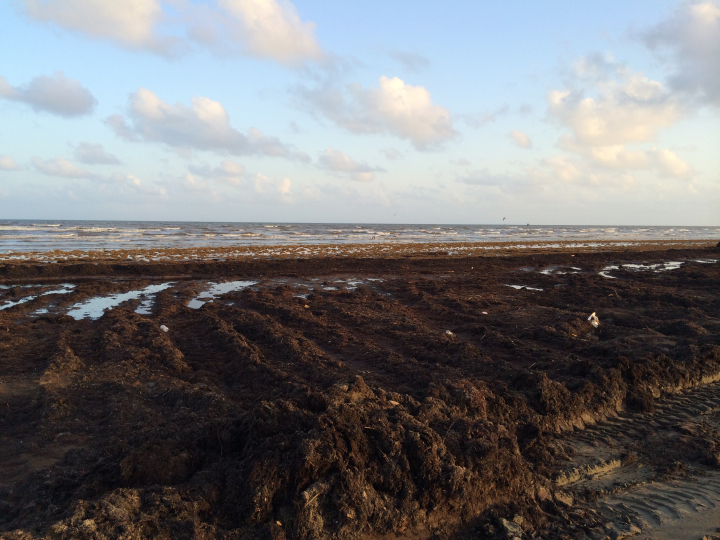 This year, the seaweed is washing up on shore in larger quantities than in recent history. Makes the beach a little unsightly and smelly, but we just like to look at the water, not get into it. 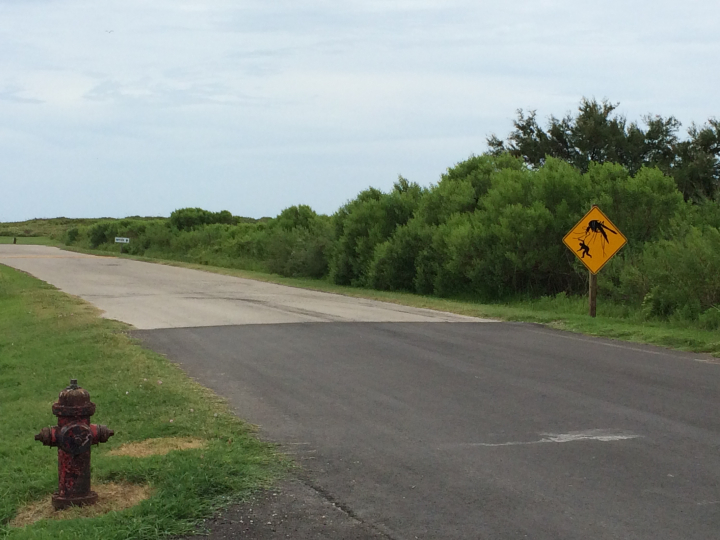 It was actually pleasant in the Quintana Beach County Park due to the constant breeze off the water. And when you were out of the mosquitos. 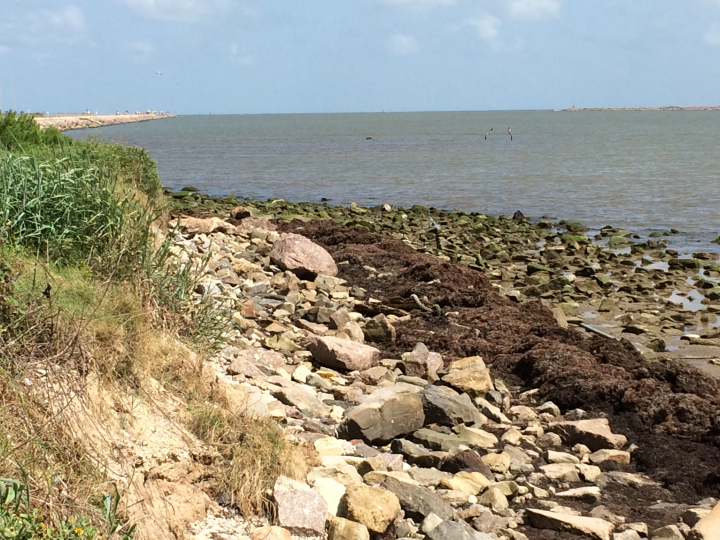 [Tuesday] July 8th, we left home about 10 am and arrived in Quintana at noon. After setting up in site #20, we drove back to Freeport to get some additional groceries. 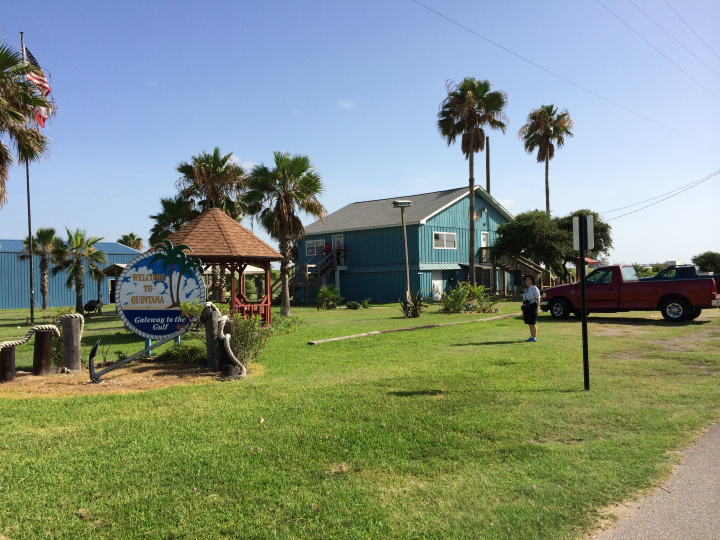 Afterwards, we drove over to Surfside and looked around town. After supper at the trailer, we walked along the beach. It was nice and we didn't have any trouble with the seaweed or mosquitoes. < Our camping spot in Quintana. < The seaweed was bad. < The seaweed wasn't too bad in some places. 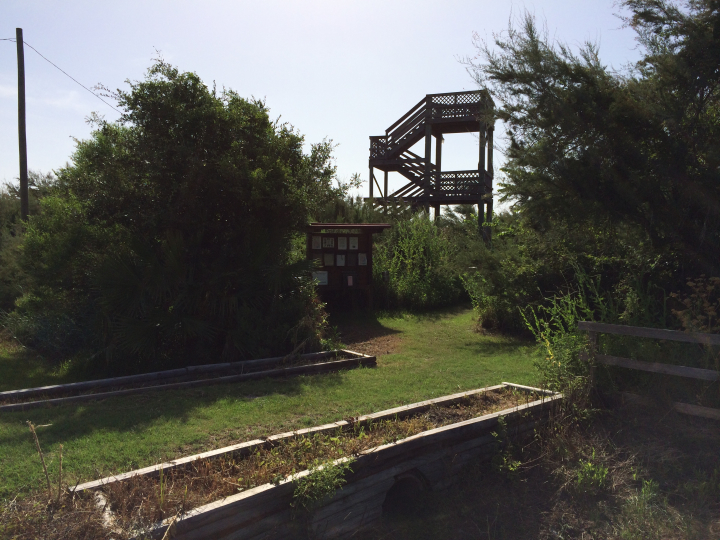 [Wednesday] In the morning, we went over to the viewing stand at the Quintana's Neotropical Bird Sanctuary. Unfortunately, in the heat of Summer, there were no birds of interest and the mosquitoes were rough. We saved that for sometime in the Spring during migration. 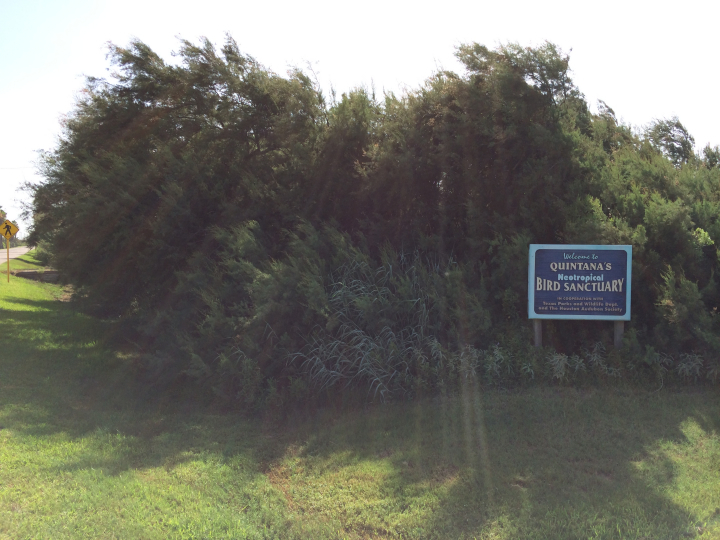 < Quintana Bird Sanctuary. < Bird viewing stand. In the afternoon, we met our friends, Pat & Annette, who are new owners of a motor home, at the Bayside Seafood in Freeport. Afterwards, we assisted them as they setup in the campground next to us for their first day/night in the RV. Around 7:30 pm we took a walk along the beach and sat on the park's boardwalk until sundown. It was very pleasant. < Warning about the mosquitoes. [Thursday] After breakfast, we saw Pat & Annette off from Quintana, as they returned home. In the afternoon, we drove the 1 1/2 hour drive into Houston for Kay to work in the afternoon at Cook Counseling. During that time, Lawson went back to Richmond to check on the progress of construction of our garage expansion. Everything looked good. We returned to Quintana that evening just at sundown. [Friday] In the morning, we relaxed around the trailer. 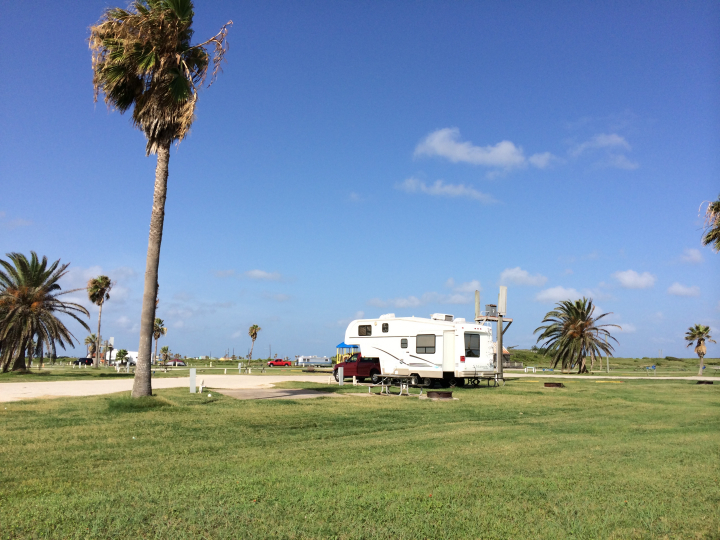 In the afternoon, we drove over to Surfside and along the road north to the San Louis bridge, which connects to Galveston Island. 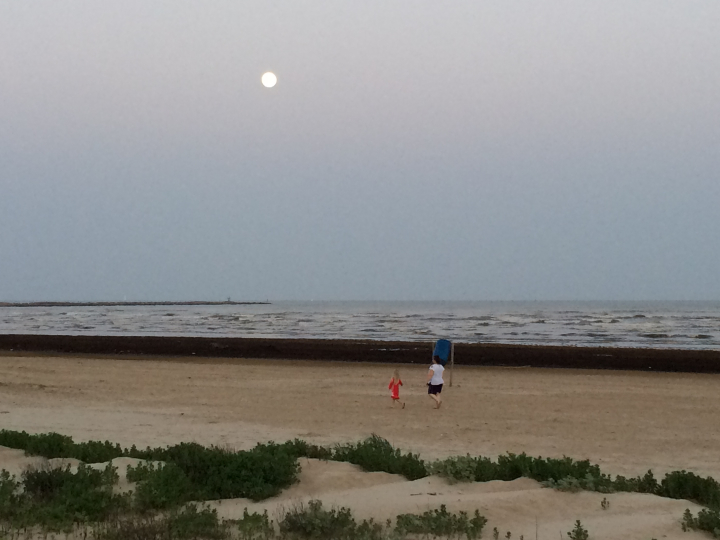 After supper, we walked over to the beach and sat on the boardwalk area and watched the moonrise over the Gulf. 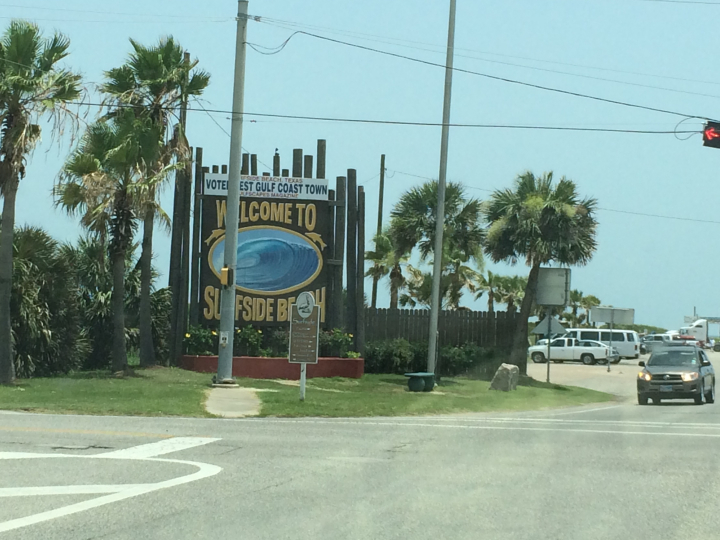 < Entrance to Surfside. 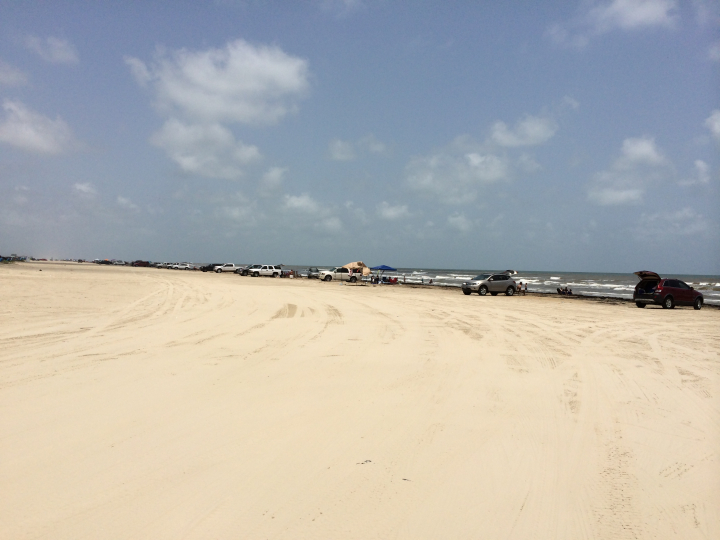 < Surfside beach - a little cleaner of seaweed. 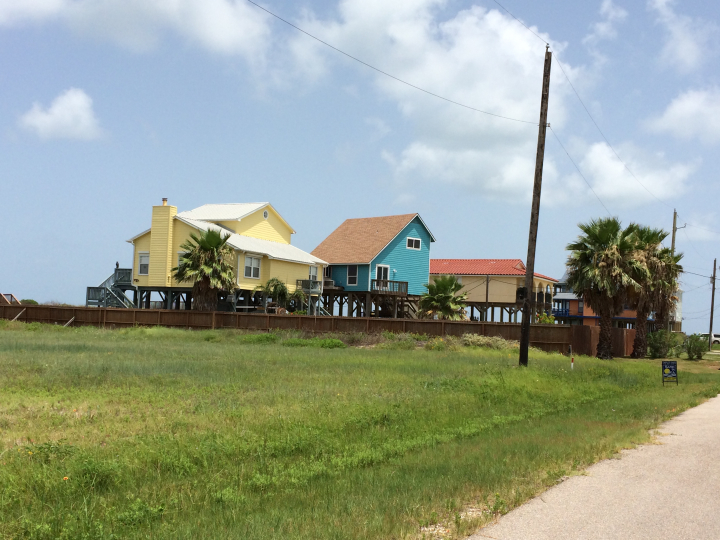 < Some of the beach homes waiting for the next storm. 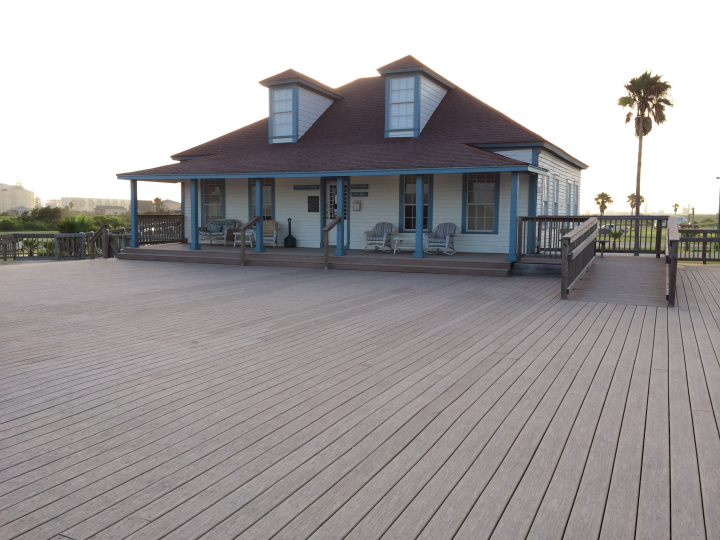 < Campground office and some of the boardwalk. < Moonrise. [Saturday] We relaxed around the trailer and after lunch, we went back home via TX-36 to Richmond, arriving home by mid-afternoon. This draws to a close our brief vacation to Quintana. We hope you enjoyed the photos and brief descriptions of our activities. God willing, join us again soon for another RV adventure.